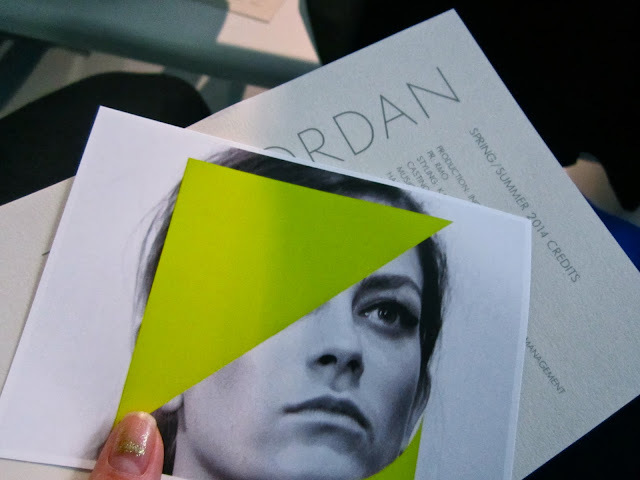 During London Fashion week I was lucky enough to attend the Zoe Jordan S/S 2014 Fashion Show. I had such a great time. The energy that morning was absolutely buzzing. With everyone waiting in their seat, snapping furiously, trying to capture the best street styles and making sure they were all ready for the runway. I really enjoyed the collection, especially the long white jacket with the black leather collar. It's definitely my favourite piece. The overall feel of the show was very urban. With graffiti print tanks and ombre tie-die dresses, I loved the dynamics of the pastels and bright pops of red. 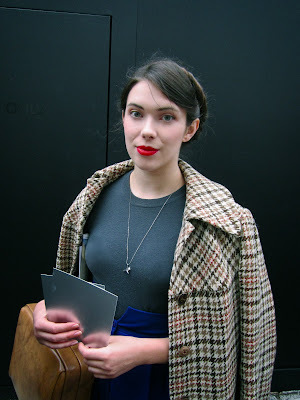 My outfit: coat/vintage, jumper/F21, skirt/vintage, briefcase/vintage, lipstick/Mac - Ruby Woo. A big thank you to my friend, Larissa. So lucky of you to attend the show! You outfit look amazing too. Very lucky, indeed! Thank you!! !